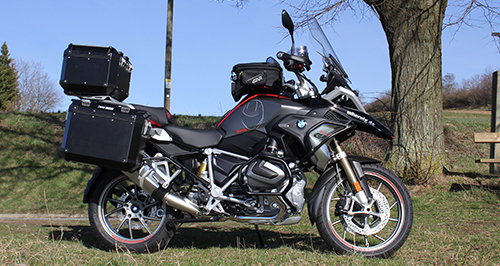 The R1200GS is the flagship of BMW Motorrad and has been leading the bestseller lists for years. 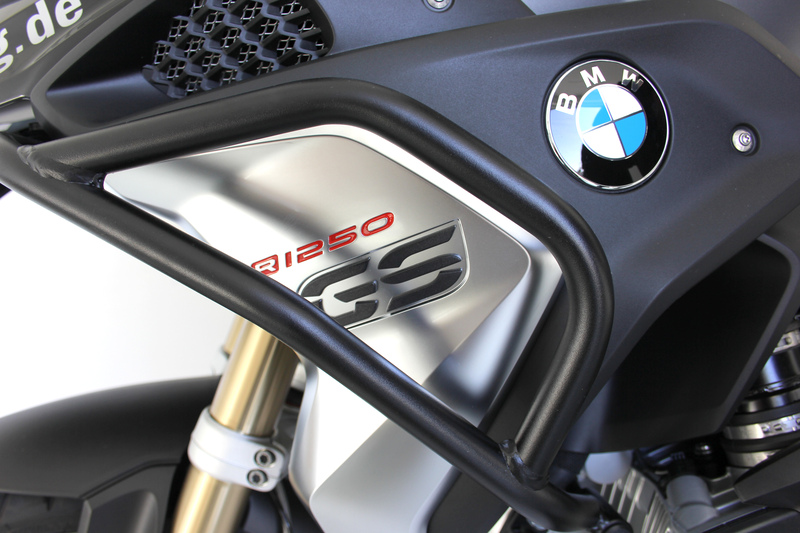 Now the R1250GS presents itself as a successor. The engine has been particularly reworked and can now provide more power thanks to ShiftCam technology. 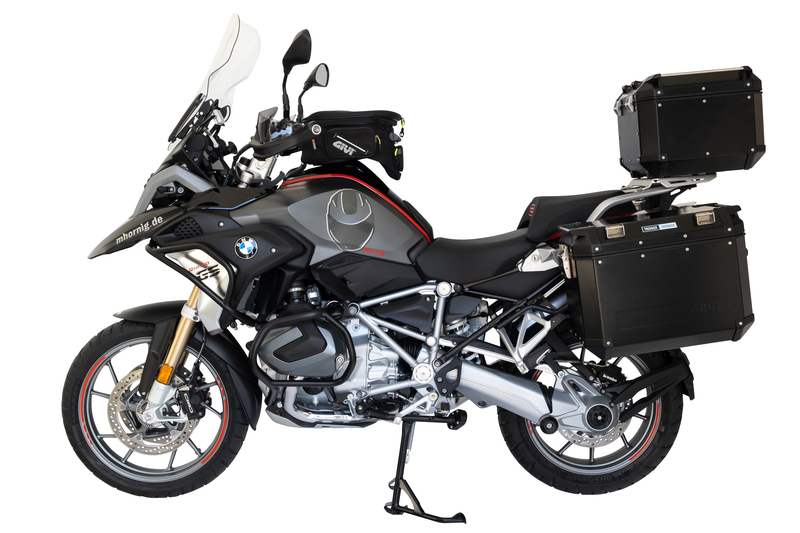 We have given the R1250GS more security in addition to several visual improvements and a variety of amenities. To see better what happens behind you: This is ensured by our mirror extensions. 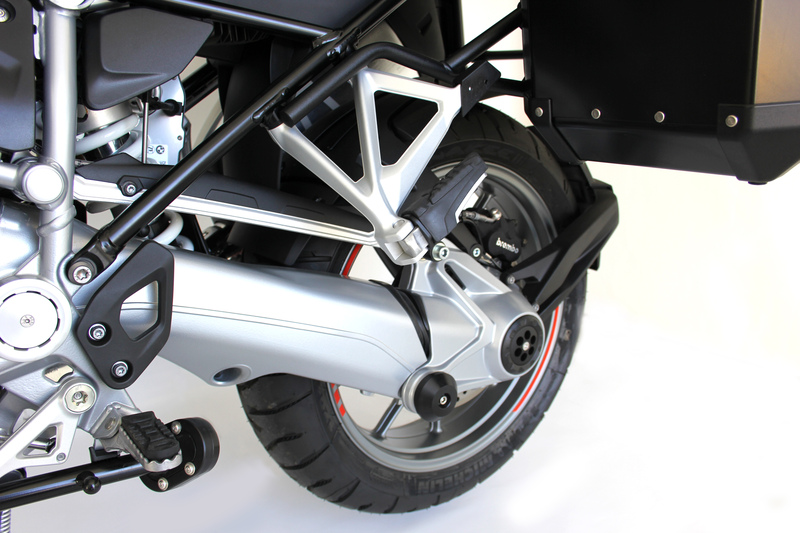 Our side stand foot enlargement, including heightening guarantees a safe stand even on rough terrains and makes it easier to set up the motorcycle. But even in the case of tipping over, the cardan is well protected by the cardan crash protector<. You don't have to worry about the engine or the paint, thanks to the engine crash bars in combination with the fairing crash bars. 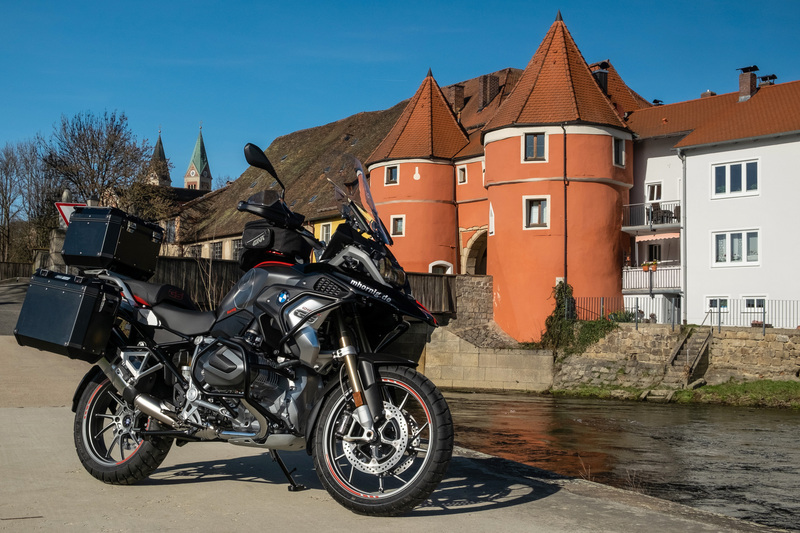 The ABS resin mud guard for the rear and the fender extender for the front mudguard ensure that splashing water or whirled up stones will leave no damage. 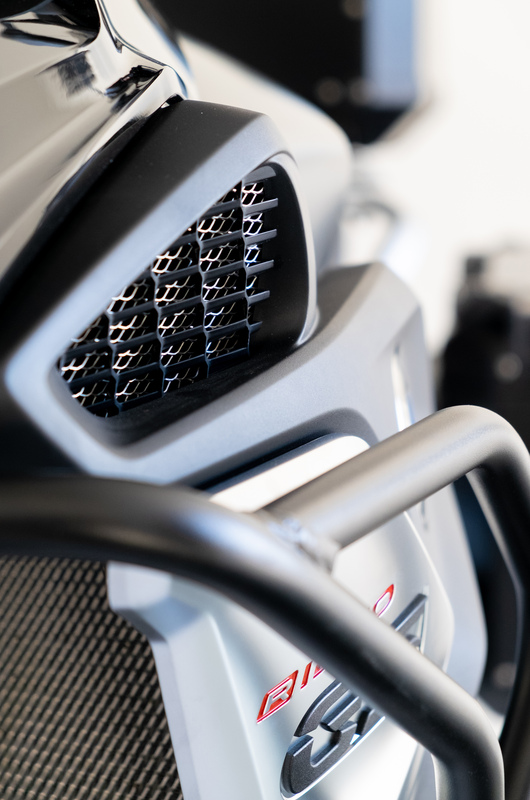 The silver cooler protection as well as the air intake grid also prevent damages caused by insects or dirt. Thanks to our Wolo Bad Boy horn you can draw attention to yourself appropriately in road traffic. To remove our black oil filler plug you need a Torx key which makes the oil filler plug burglar-proof. In order to avoid scratches on the side case lid, we used our transparent protection foil for Trekker Outback side cases. 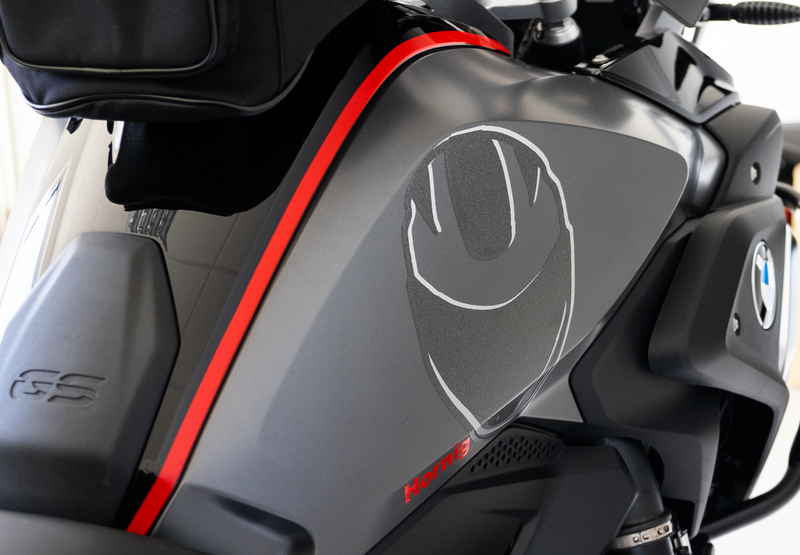 The black universal reflection foils increase the visibility of the R1250GS towards other road users at night, being unremarkable during the day and reflecting in a striking silver/white colour in the dark. To ensure optimum wind protection, we mounted a ZTechnik windshield, which provides extraordinary aerodynamics thanks to its special shape. The seat is particularly important on longer tours, which is why we have modified respectively upholstered it in order to get more sitting comfort. This will help you to reach your destination in a more relaxed way. Our handlebar risers, which raise the handlebars by 40 mm, also contribute to a comfortable seating position. 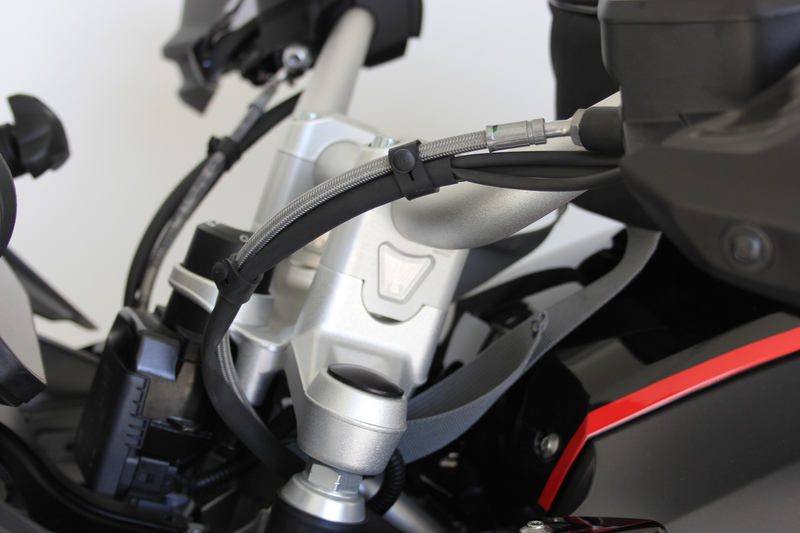 To make brake and shifting operations simpler, we installed both brake and shift lever extensions and our adjustable Tector brake and shift levers in red. A perfect view of the navigation device's display can be expected from our GPS mount. Of course, you need enough storage space on tour. 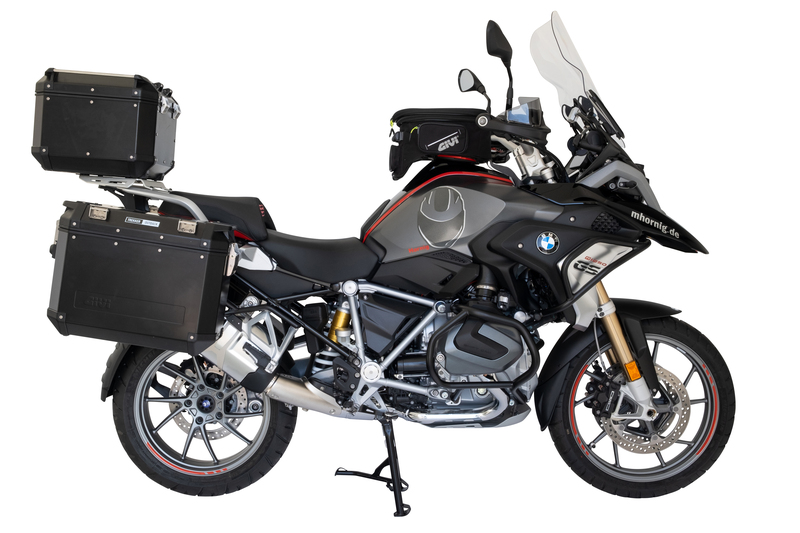 Here, the black Trekker Outback side cases with the corresponding mounting kit are a very good solution, as well as the top case Trekker Outback with 42 litres of capacity, which can for example store one helmet. 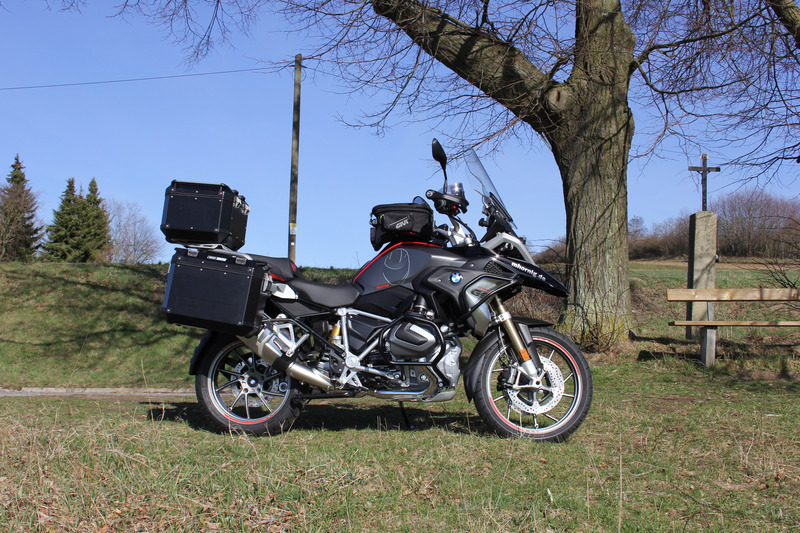 There is also plenty of storage space in the 25 litre tank bag. The license plate bracket, made of rust-free stainless steel, can be varied in width and is flexible to use for this reason. 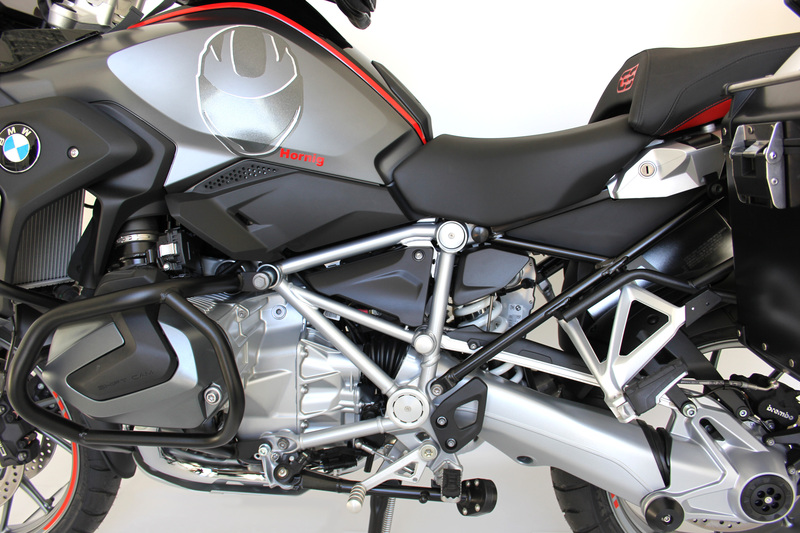 Of course you need some eye-catchers to individually complete the look of our R1250GS. On the one hand there are the red rim stripes, which harmonize perfectly with the red painted "R1250GS" embossing on the side panels. On the other hand, the eyes are immediately drawn to the decorative sticker set in red on the beak and tank, which puts particular emphasis on these parts. 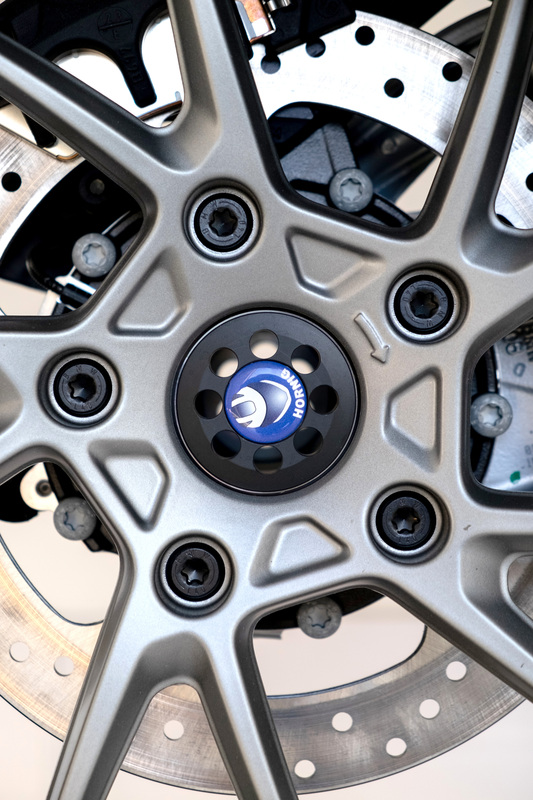 Further optical highlights are the stainless steel end weights and the contrasting black rear wheel centre cover. Finally, the various aluminium covers on the frame, the rear frame or the engine mounting, the suspension mounting, the swing arm pivot and the foot brake fluid reservoir as well as on the fork tube ensure a successful finish.